Well, I've finally started moving things forward with this Westerosi project. 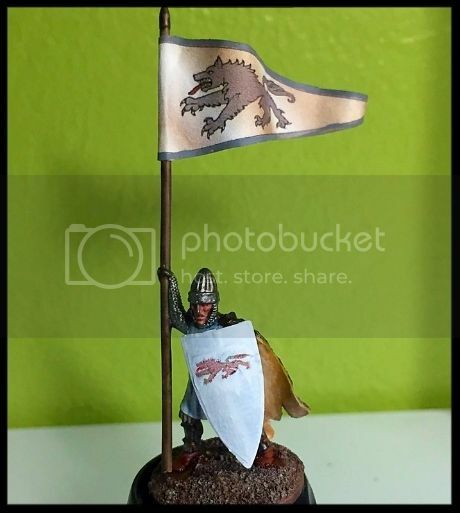 Sometimes it's Dux Westerosum and sometimes it's Lion-Stag-Direwolf-Dragon Rampant. Here is the first unit - plus important leaders - of my Greyjoy core retinue. I will expand with a few units from other Ironborn houses over time - after I have 24 points painted. Shown here are six foot men-at-arms led by Victarion and Asha Greyjoy. This retinue is built around an imagined longship crew of 48 men and leaders. They operate in two war parties of 24 - 6 elite/12 warriors/6 scouts. Ultimately, this retinue will also work as a proxy for Saxons in Dux Brianniarum. i.e. 2 elite units of 6 and 3 units of 6 warriors. My Lannister and Stark forces will also have enough models to proxy for Romano-Brits. I'm working in groups of six to avoid burnout, alternating model types. Six warriors, six scouts, six elites (still being assembled/primed) and then another six warriors, and six scouts. Thank you, my brother! I'd like to get your help on redoing those banners with the Jay White patented furly-curl (tm) system of putting some flow into them. 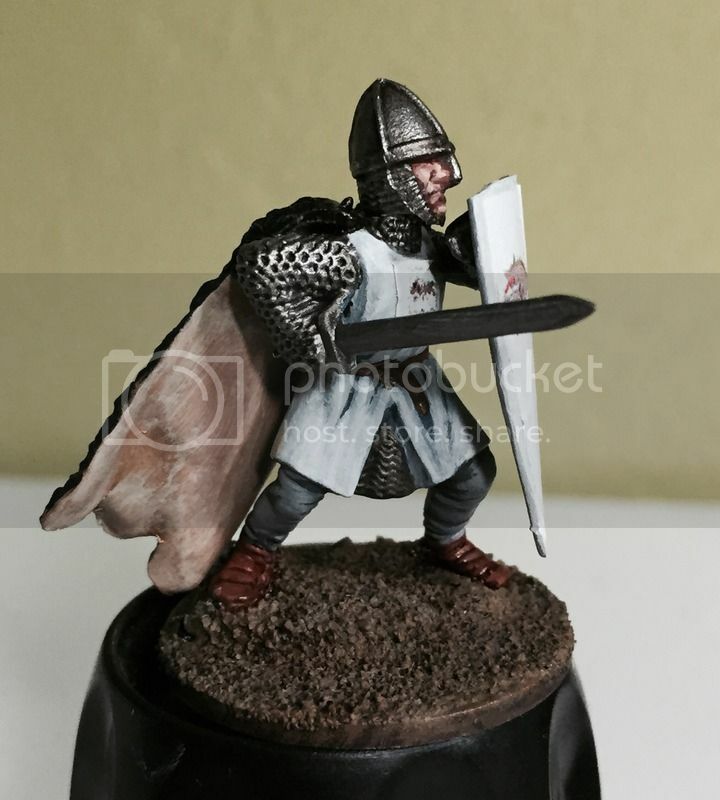 What do you use for the Stark, and Greyjoy minatures?